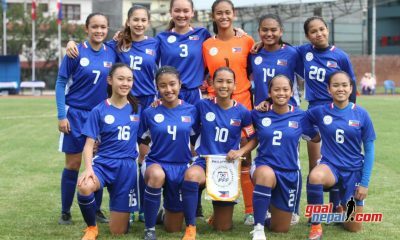 The Philippine U-16 Women’s National Football Team got off to a great start at the 2019 AFC U-16 Women’s Championship Qualifiers, stunning the home team, 4-0, in Kathmandu, Nepal. Both Nepal and the Philippines started the game tentatively, as if mindful of the ominous clouds on the horizon threatening to disrupt proceedings. But it was the host team who dared to be more adventurous in the initial half hour. Bolstered by the support of the home crowd, two successive long-range attempts by Nepal hit the post or were parried by Olongapo-based goalkeeper Odeza Yap. Another favorable chance to take the lead came in the 34th minute when Yap was caught out of position, but Asmita Chaudhary’s lob was too strong. 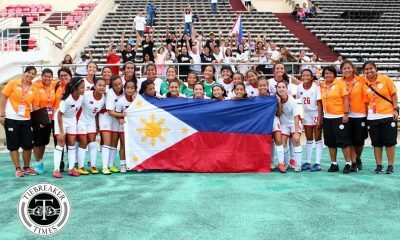 The young Pinays responded with forays into their attacking third. Maria Lazo in particular had several moments where she left her marker in the dust only to stumble at the last second. 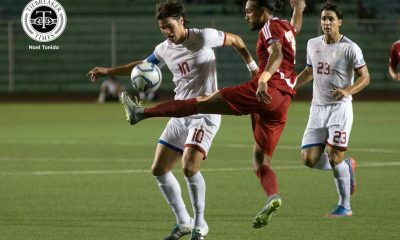 Yet the valiant efforts of the Manila-based striker were finally rewarded some three minutes from halftime. Jianna Simons played a cross from the wing that was intercepted, but a poor clearance gave her another go, and this connected with Lazo’s outstretched foot just as Nepal keeper Karina Dhimal tried to get a hand on it. A few minutes later in added time, Simons flanked down the right again before letting loose a low cross that found Lazo again, and the captain didn’t miss from point-blank range for her brace. 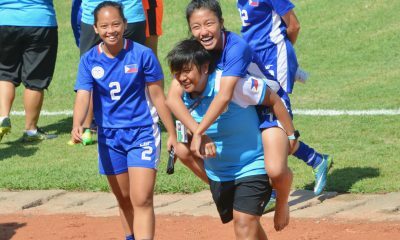 The buzz of a two-goal lead was not lost on both the Filipinas and the Nepalese. Caught on the backfoot for much of the second half, the ladies in red grew restless and resorted to fouls. Confidence spurred the ladies in blue to be more aggressive. In the 76th minute, Dallas-born Keanne Maicah Alamo went on a wild run from the centerline before hitting the ball past Dhimal to pad the lead to three. But the Filipinas were not done yet, as Mikaela Villacin wanted the last say. With eight minutes to go to full time, Villacin picked up on Kylie Faith Panagan’s through-ball before slotting it past Dhimal to make it four to nothing. The win puts the Philippines at the top of Group E with three points alongside Myanmar. 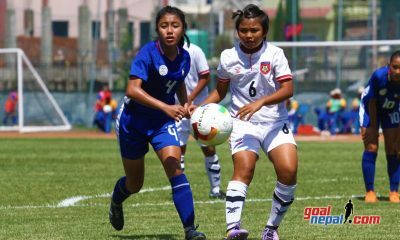 The country is slightly ahead by a single goal difference after Myanmar put three goals past Malaysia earlier in the day. The girls need to keep racking up the points as only the top team gets to advance to the next stage. 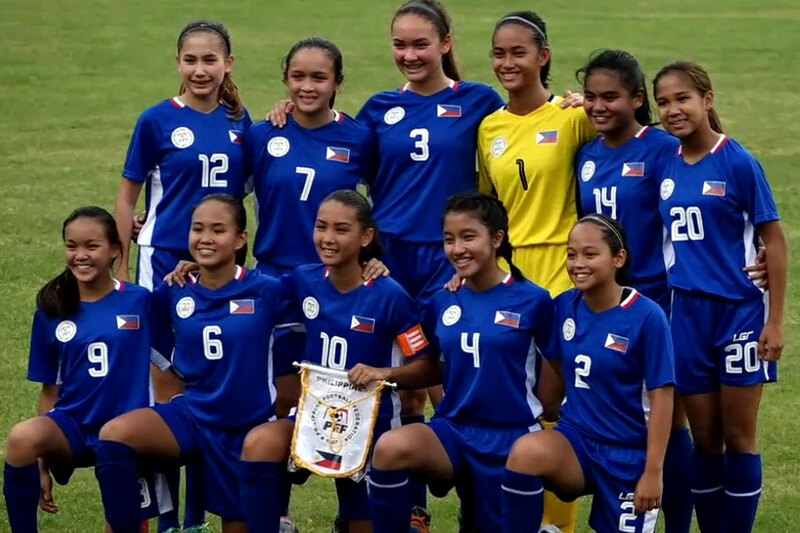 The U-16 Pinays will next face Malaysia on Friday, September 21 at 1:45 P.M. Manila Time.